The software is designed to export emails, contacts, calendar from Windows Live Mail to Outlook. It perform the file migration procedure without damaging the existing file properties and email meta data. Windows Live Mail converter tool enables users to transfer multiple database files of WLM to Outlook email client. Simply add source files and then, select all the loaded files one-by-one to export them into PST in bulk mode. WLM to PST Converter renders one of the best feature to search Windows Live Mail database files from PC. This product functionality becomes handy when one is unaware from location of the source file, which is to be converted. Windows Live Mail to Outlook importer is offering feature to choose only precise emails for the migration. 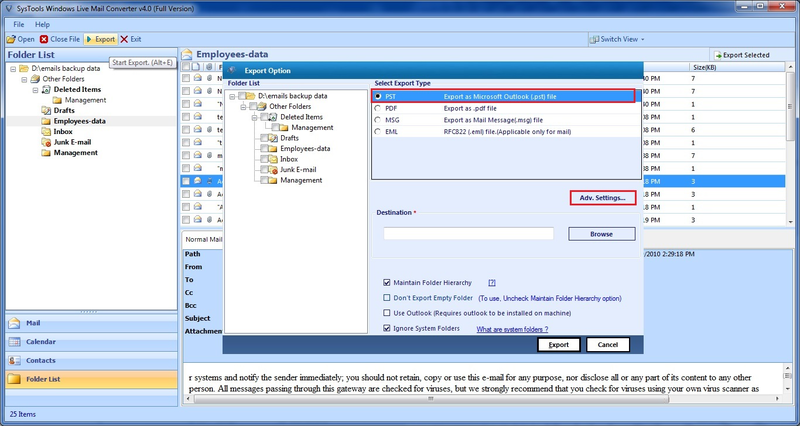 For utilizing this feature, clients have to enable option of Mail filter and then, specify desired date range. 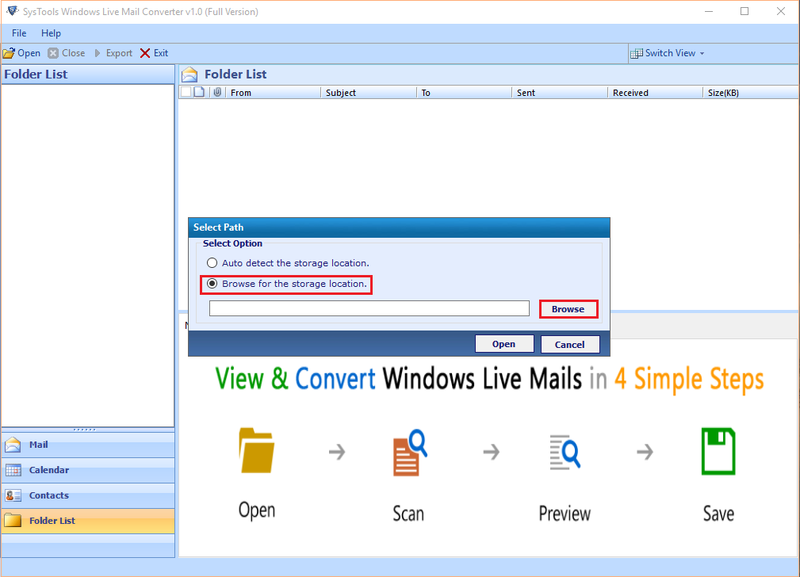 The windows live mail converter tool renders a data previewing feature, which help in viewing content that is going to be exported. One will be able to preview emails with attachments, contacts, and calendar through this application. 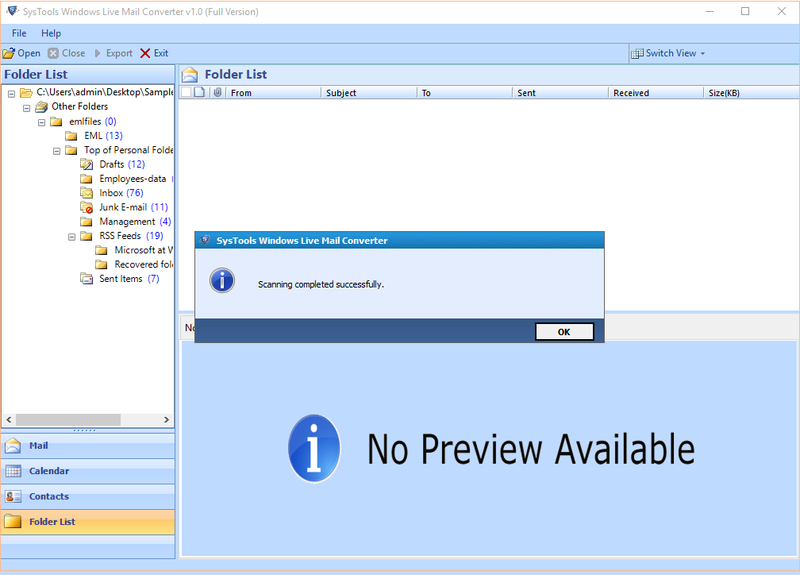 The Windows Live Mail to PST Converter is having a simplified interface, which is user-friendly both with technical as well as non-technical users. With this product, no expertise knowledge is needed to export WLM emails. How to Export Windows Live Mail Messages to Outlook? Can anyone tell me the default location of Windows Live Mail file on Windows 7? Press Enter to execute the above-mentioned command. Is it possible to move only few important emails from Windows Live Mail to PST with help of your product? When all Windows Live Mail file data gets loaded on software’s preview wizard, select source email by checking their checkbox. Right-click on the same panel and click on Export button. 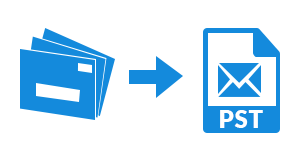 Export Windows Live Mail messages to Outlook by choosing PST option from list. Furthermore, continue with working guide of the software. 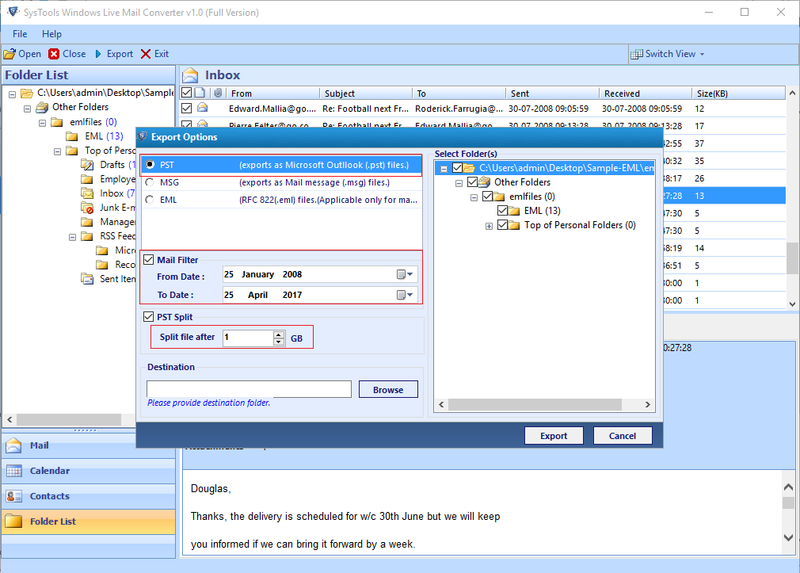 Will your WLM to PST Converter Tool work with Microsoft Outlook 2010? Yes, the software works with all available editions of Outlook. 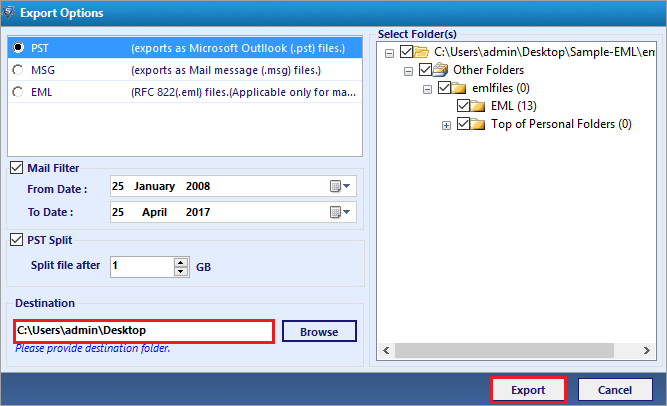 Exporter will be working safely with Outlook 2016, 2013, 2010, 2007 and it's bellow versions. Can I export selective Windows Live Mail folders to Outlook PST format? Yes, it is possible to transfer particular folders of WLM application. This can be done just by checking desired folders only, in the Export wizard itself. With help of Automatic Mode : The option allow users to identify the default storage file location of WLM files. If you directly want to convert folders from Windows Live Mail then, make use of this option. 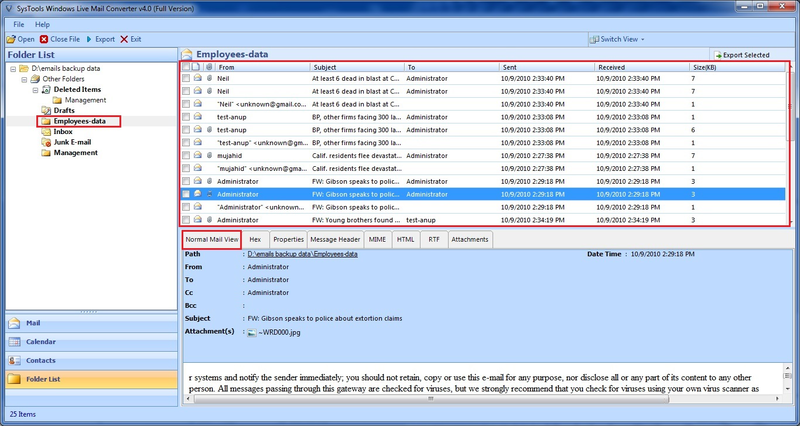 Manually Browse WLM Files : With help of this option, you will be manually able to locate files from any machine location. If the source file at orphaned location then, utilize this option. If you are manually selecting file then, locate towards the location where file is stored. Click on the file and then, hit on OK >> Open to continue process to export Windows Live Mail emails to PST. 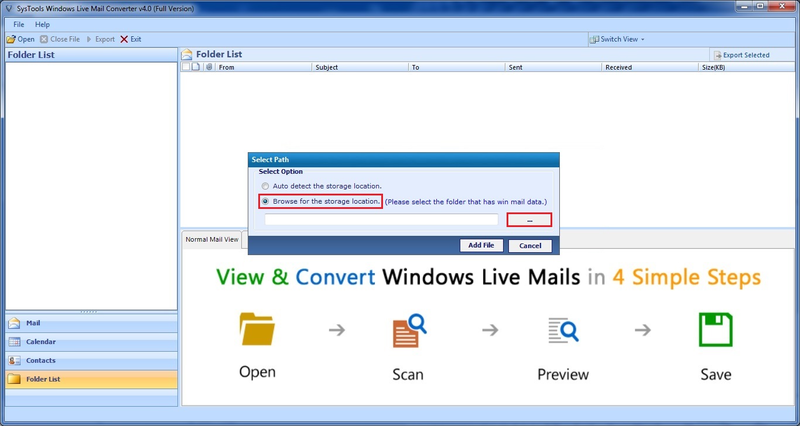 Now windows live mail converter software will automatically start scanning browsed file. Once it will be done, click on OK button. 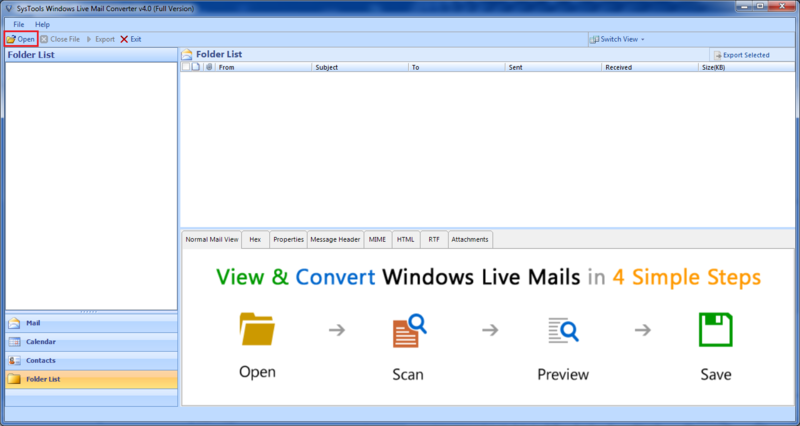 All the extracted data gets loaded on the preview panel of Windows Live Mail to PST Converter. You can take your time and have a look on the data to be exported in Outlook. Click on Export button, which is located at the menu bar of the wlm to Outlook Converter and choose PST from listed options. 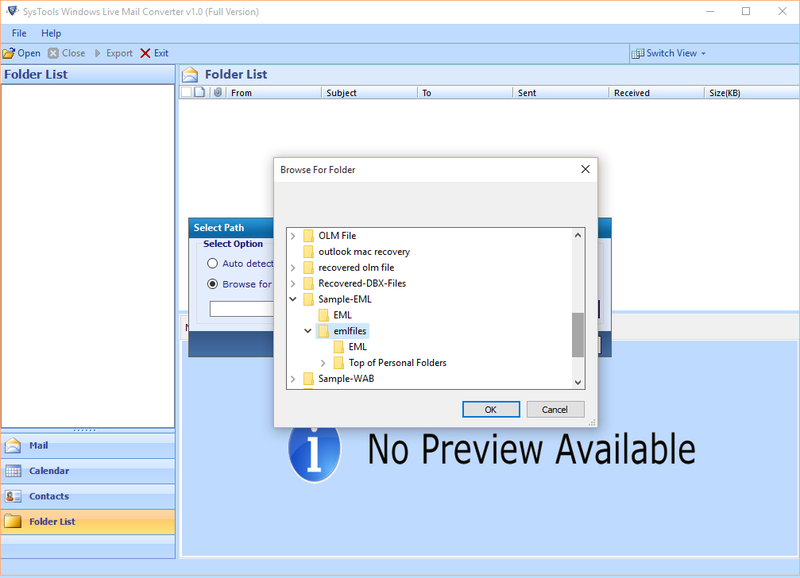 Check the checkbox of Split PST option and mention the size in which you want to break resultant Outlook file. If you want to use filtering feature then, enable Mail Filter and then, specify the time period. "A Heartily thanks to SoftwarePro team for offering such an amazing Windows Live Mail to PST Converter. Whenever there is a need to access WLM emails in Outlook, I always prefer this Windows Live Mail to Outlook migration tool. It is so because the software Migrate WLM to PST file in an instantaneous way. Now one can easily perform migration on any Windows operating system edition." "I utilized this product to export emails, contacts, and calendar from Windows Live Mail to Outlook 2016. The best thing I found in this application is that it does not requires any high technical knowledge for working. Windows Live Mail converter is designed with most simplified algorithms, which benefits customers with easy way to attempt migration. I am glad that I was able to work with this product."